There is an Urban Greenie in a lot of us. It’s someone who lives in an urban space and doesn’t have a traditional garden. An Urban Greenie uses pots on balconies, roof-top spaces, on windowsills, and indoors to create a non-traditional green plant haven. Click |HERE| to read about container planting in detail. The dimensions available to you will be a deciding factor in which pots you choose. If you only have a small balcony rail, then there are beautiful balcony pots with hooks and hanging stands with balcony pots suitable for rails, walls or dividers that are creating your balcony. If you have a flat rooftop space, large bulkier pots may be the best option for you. If you only have a wall to work with, putting pots on the wall in a vertical wall fashion will optimise that space. Lifestyle sells the most gorgeous wall mountable pot holders. Not to mention our vertical gardening solution or our stackable vertical planters. 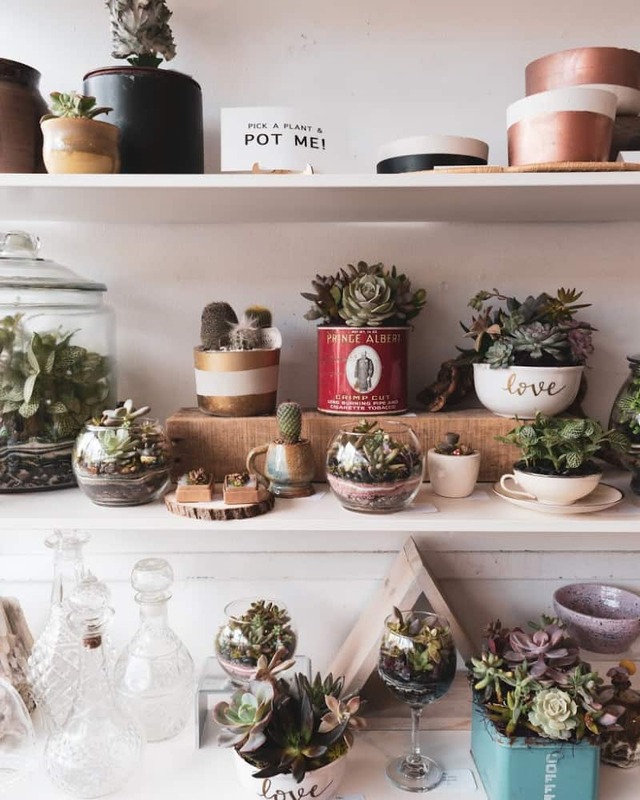 A great way to utilise a corner is to position a bakers stand or shelf and place your plants in their pots on the shelves. Alternatively install shelves all the way up a wall and deck the walls with every potted plant imaginable! 2. Is the space covered or uncovered? Does it get full sun, partial shade or full shade? If you have an entirely protected patio with a permanent leak-proof ceiling, you have the option to use pot covers which ordinarily would wear in full sun or in rain. If you find your space is full-sun, then ceramic pots are the hardy choice, as some plastics may perish in the sun over time. If your balcony space is more in shade or partial shade than full sun, then experiment with balcony pots such as this Greenbo pot, which fits snuggly over a balcony rail. It’s available at Lifestyle in bright colours! 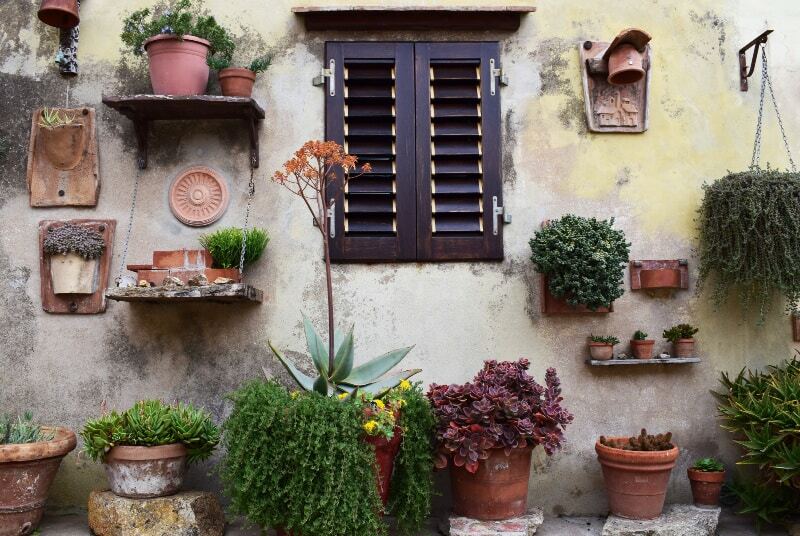 Most glazed terracotta pots are hard-wearing and are a great choice for inside or outside. 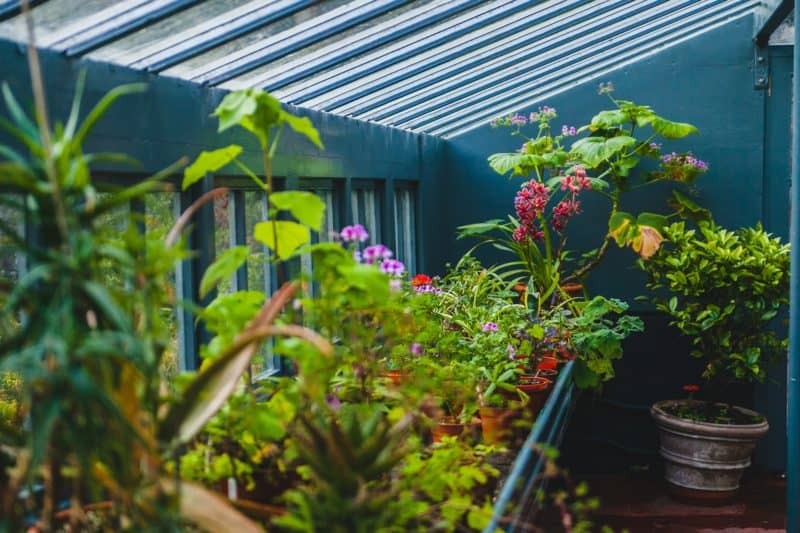 Firstly, when choosing plants, you need to consider – as mentioned above – whether your space is exposed to full sun, semi-shade or full shade in the day time. This will determine which plants can survive in your balcony space and which you should consider growing there. If you have chosen a selection of cooking herbs, for example, to grow on your kitchen windowsill or along the perimeter of your balcony; then a narrow long pot, windowsill planter or trough will be best for this. 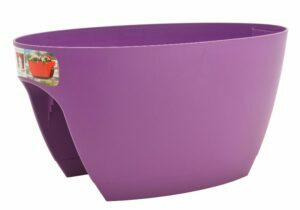 If your newly purchased olive and lemon trees need pots they will likely be far larger and sturdier, and will need to be placed in a space where there is full sun. These larger plant options won’t suit a balcony pot, but rather a heavy-bottomed solid terracotta pot which will be placed on the ground of your balcony or roof top. 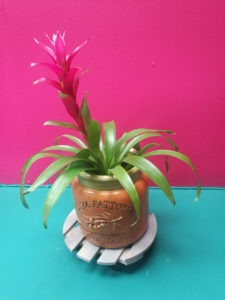 You can use plastic stackable vertical planters or a range of smaller and varied pots from glazed, to terracotta and plant all your favourite edibles and flowering plants or seedlings. Great for balconies, are also trailing plants and climbers like tomatoes, strawberries, trachelospermum (star jasmine) or even bougainvillea. 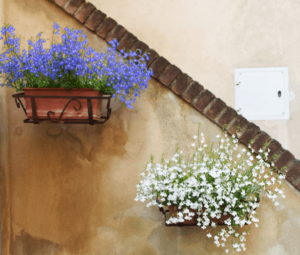 Plus you can easily incorporate some hanging baskets which add greenery and life without having to take up precious floor space. Pop in to Lifestyle Home Garden to have a look at our amazing pot and planter range in store. We have stunning vibrant colours to suit any discerning palette, and classic shapes in more subtle tones too. We invite you to go absolutely Potty! 4. Get your planting right! Without the constant, more steady level of nutrients and moisture provided by planting in the ground (in a garden bed) the levels of moisture in pots deplete quickly. Nutrient values can also diminish fast as plants take what they need. With this is in mind, it’s important to fortify your pots and vertical plant walls with extra nutrition and sufficient hydration. Keeping you potting soil and compost in top nick is easy- click |HERE| to read all about composting. Light matters. Direct sun for indoor plants and enough sun for outside plants is crucial for happy, leafy, healthy green plants. Drainage counts! If your plants have no drainage, use layers of pebbles at the base of the pot to hold any additional water until the plant absorbs it naturally via capillary action. The compost and organic matter you use in pots is essential to good healthy plants. Use plenty of organic well rotted compost compost when planting, and add the correct amounts of bone-meal and fertiliser per pot. This ensures vigorous growth from the get-go. Mulching prevents loss of moisture and stifles weeds. Over time this breaks down to form a layer of nutrients for the soil. Speak of re-inventing the wheel! These days a wide range of trolleys are available for your potted plants to sit on. Mobile is the way with this fresh take on exhibiting plants, and the plus-side is your heavy plants can now easily be moved. Lifestyle sells the plant trolleys pictured on the left, and we know you will love trying them out! There is an amazing video you watch |HERE| which describes really well how to grow large vegetables in containers. The following blog is also full of helpful hints on container gardening. Don’t let a limited space hold you back- there are endless possibilities when it comes to container and balcony gardening. 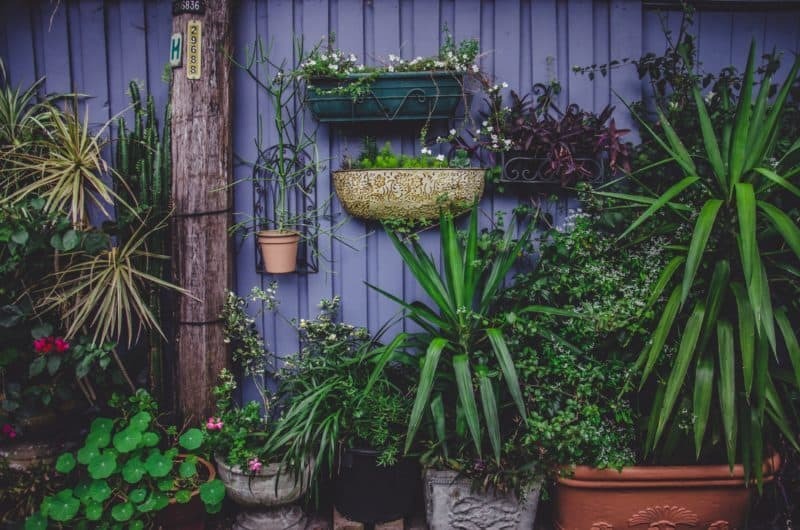 Are you experimenting with the gardening trends of 2019? If so we would love to see what you are up to in the garden. Tag us on Instagram using the hashtags #lifestylehomegarden and the tag @LifestyleHomeGarden so that we can see your posts!